First, pre-bake your pie crust according to your recipe or the instructions on your pie crust. Set aside. In a large saucepan, heat the coconut milk, ½ cup milk, coconut cream, sugar, salt, egg yolks and shredded coconut over medium low heat. Keep an eye on the mixture on the stove, stirring often. While this mixture is heating, whisk together the remaining ½ cup of milk with the cornstarch in a small bowl. 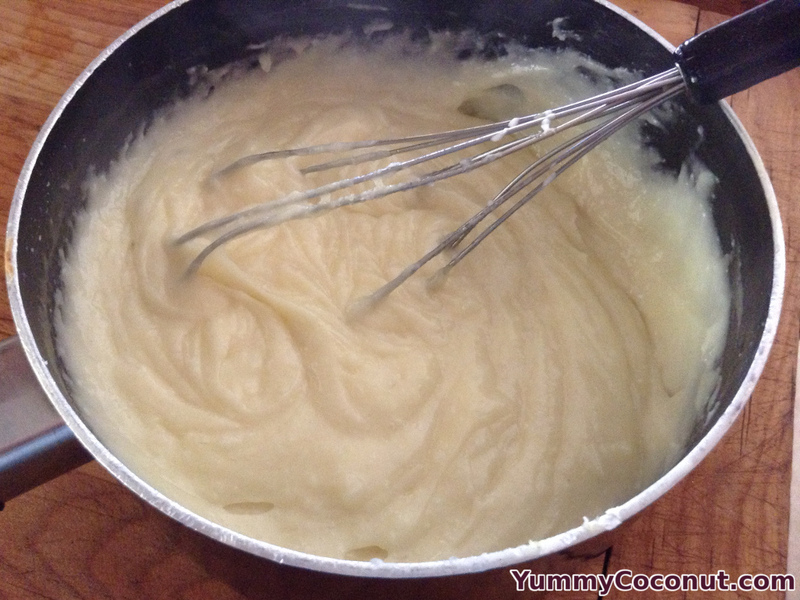 Once the mixture on the stove has started to thicken, add in the cornstarch mixture while whisking. Continue cooking for 5 minutes while constantly stirring. Let the pie cool to room temperature, then place the pie in the refrigerator to cool completely, about 4 hours. Whip the cream and the sugar to stiff peaks. 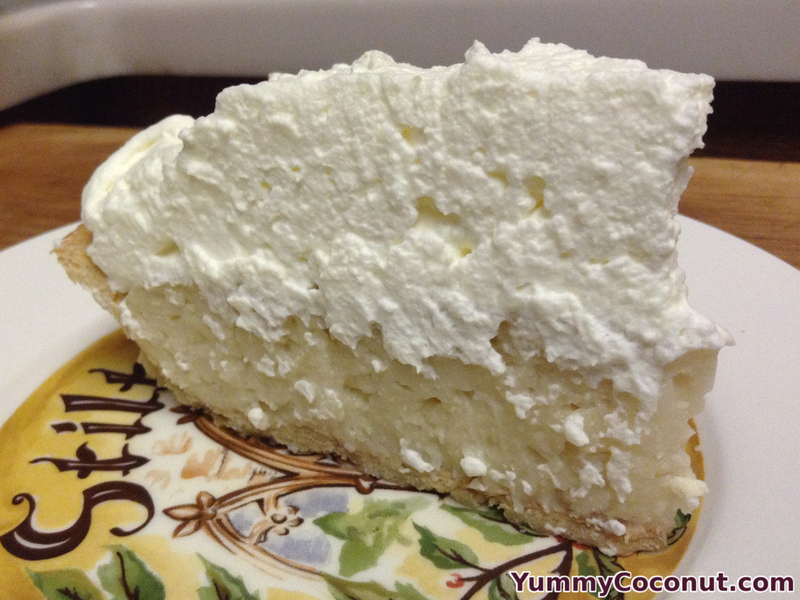 Put the whipped cream onto the pie and serve. In a saucepan, heat the coconut cream, coconut milk, sugar, salt, shredded coconut, egg yolks and ½ cup of the milk. While the above mixture is heating, take the cornstarch and the remaining half cup of milk and mix it together in a small bowl. Once the mixture in the saucepan starts to thicken, add the cornstarch to the mixture while whisking. Continue stirring and cook for approximately 5 more minutes. Place the pudding into your pre-baked pie shell and let it come to room temperature. Once cooled, place the pie in the refrigerator to chill completely. Just before you are ready to serve the pie, whip the cream and powdered sugar to stiff peaks. Place it on top of your chilled pie and serve. The pudding needs to heat slowly over medium low heat because otherwise you will cause the egg yolks to scramble, adding an unpleasant texture to the pudding. If you want to heat the mixture faster and without having to watch it so closely, you can temper in the egg yolks after the mixture has already heated to boiling. This recipe can be made using all coconut milk, simply replace the one cup of cow’s milk with coconut milk. 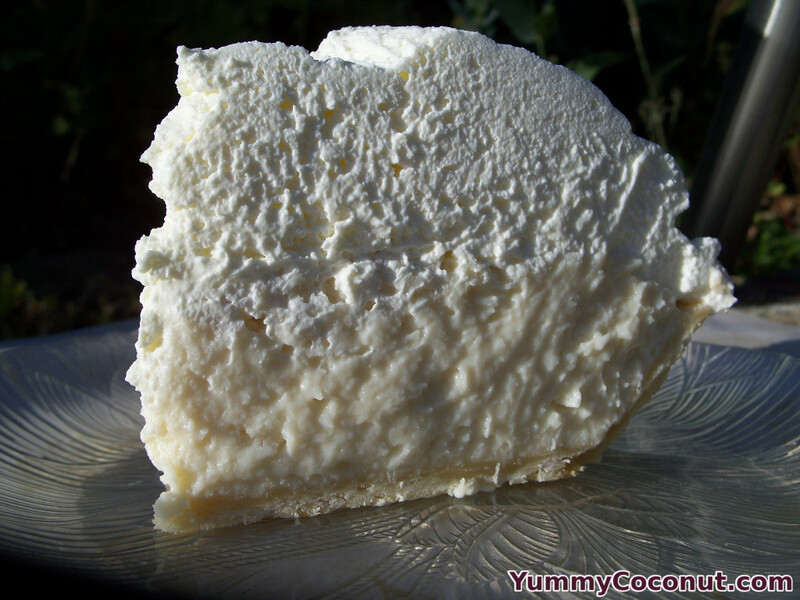 If you like less whipped cream, you can halve the amount of whipped cream you use for the pie. It is important to chill the pie completely before serving so that it has a chance to set up. If the pie is warm when you add the whipped cream to the top, you can melt the cream and cause it to run off the top of the pie. Cover the pie with a layer of plastic wrap that is touching the surface of the pudding to prevent a skin from forming on your pie.